From foundation inspections to filling cracks and even lifting whole houses. Get it fixed. Foundation waterproofing and basement waterproofing. Make your basement dry. Fix it up. Sunken walkway or garage floor? Uneven sidewalk? Don't pay to replace it. Get it fixed. Foundation Problems? Water Problems? Concrete Problems? 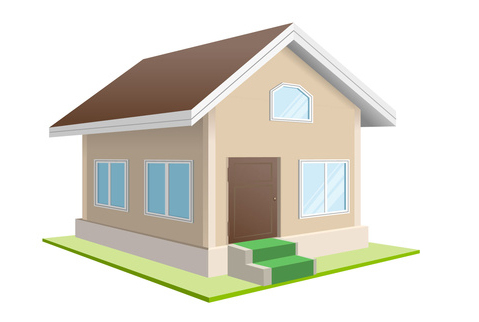 You can find affordable solutions to most house structure, wet basement and sinking concrete slab issues. If you know or think you have a problem in one of these areas, you can call and discuss it. If you call, they can give you some information on the phone, or set up a time to come out to inspect your property and provide some advice on how to fix it. Sometimes a West Coast homeowner can tell they have a structure problem. In some instances, the evidence is obvious. Other times the issue is harder to detect. Unfortunately, these problems may show up no matter what type of home construction you have. Homeowners may sometimes think that foundation faults would be almost impossible to correct, but, in fact, most can be fixed. If you have a wet crawlspace or basement, your local specialists can try to figure out what is causing water to leak into it. Your basement waterproofing solution may not require any work to the structure itself, but rather just the ground and landscaping surrounding the home. Your contractor can come up with a plan to correct the situation. If part of your concrete front walk or driveway has sunk, that can be fixed too. The process is called mudjacking (or slab jacking). Mudjacking is the process of forcefully injecting a caulk-like substance underneath a sunken slab which forces the slab to rise up. Many situations that look way too difficult to fix in the homeowner’s eyes can usually be corrected. They may involve a complicated process, but they can be done. Well, it’s basically just science. 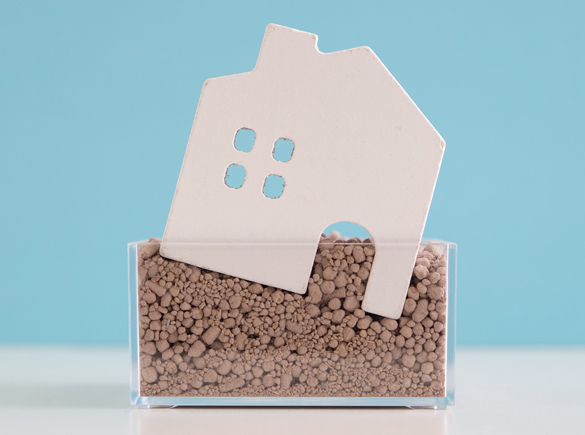 The soil underneath your home shifts and moves. It expands and contracts depending on exposure to water and temperature. This expansion and contraction of the soil puts tremendous stress on even a well-built home. While you can’t control the elements where you live, having your home sitting on a lot that has poor drainage or improper grading or your house doesn’t have good rain gutters can be major factors in whether or not you develop a bad situation. The particular soil your home was built on is a major factor as well. Some types of soil swell more than others when it gets wet. Fortunately, in some parts of the Western USA, the soil isn’t as absorbent as it is in other areas of the country. Another common cause of issues is having a large tree too close to your home. This can cause problems as the roots grow underneath the house and put pressure on water and sewer pipes and your slab. 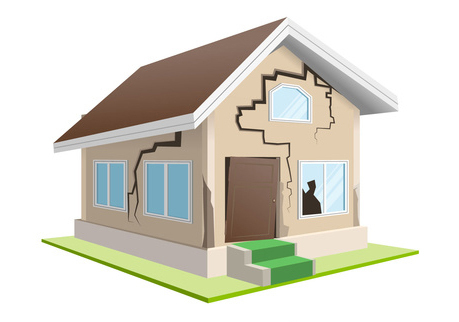 These types of environmental stress can cause small cracks in your home’s structure. These small cracks draw in moisture and bugs, and those small cracks can get bigger as time goes on. If you have a problem with your home, you need to get it inspected and fixed. It isn’t something you should put off. And you can’t simply ignore it and hope that it goes away. It won’t. Foundation crack repair is an issue you should deal with sooner instead of later. Remember, your foundation literally supports your entire home. The walls, floors and roof depend on it. If you don’t take care of it you may end up in a serious situation. And if you’re considering selling your home, just remember that no one wants to buy a house that has any kind of structural issue or has tell-tale signs of water seepage in the basement. As a real estate seller, you have to disclose to the buyer any significant problems with your property or you could be in civil trouble later. You can call one of the companies that has been working in this field for a long time. These contractors have the experience necessary to conduct thorough foundation inspections and safely and efficiently solve your issue. Is There a Contractor Near Me? The service area includes many metro areas up and down the West Coast. You can find good help in Washington State, Oregon, Arizona, Nevada, Idaho and California. Projects are completed all over most of the main cities of the Western United States – Seattle to San Diego. Not sure there is service in your area? Give a call and check. Thanks.